In this article, we’ll see how creating a mobile training strategy will give you the opportunity to increase the engagement and interactivity of your users with your training offer. The mobile phone is a device like no other, because it has all our attention: it is always within arm’s reach and follows us daily, wherever we go. This is how mobile technology is offering a new environment for our lives, relations, and interactions. Discover the extent to which mobile learning is initiating a new era in the field of eLearning, and how you can put this to the benefit of achieving your business goals. 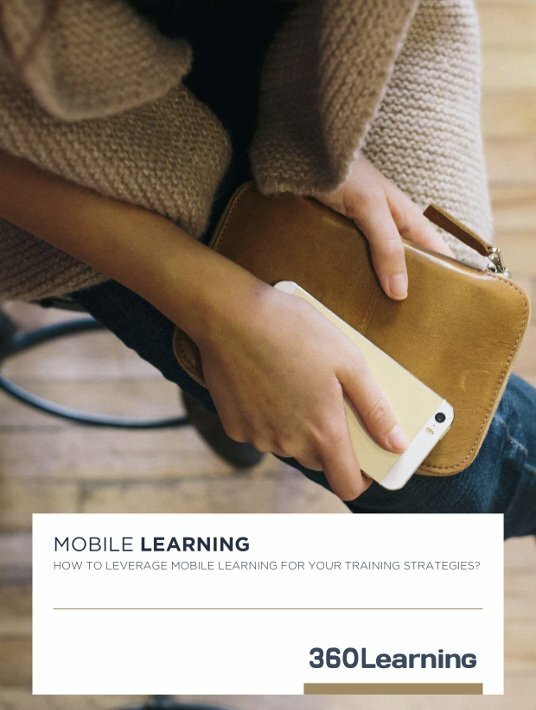 Here, we will see how creating a mobile training strategy will help you increase the engagement and interactivity of your users, multiply your content’s formats, and develop an integrated and customizable learning experience that will adapt to your learners’ schedules, specific environments, and locations. A genuine revolution. Whether you’re meeting up with a client, at a conference, intervening on the field or in the train on your way home from the office, your mobile phone is always within arm’s reach and lets you train and engage your collaborators no matter where they are. This is strategic for companies and training organizations that have populations of learners who are in the sales sector or whose jobs require field work: these collaborators will be in a position to create new, dedicated training sessions, all the while performing their mobility assignments. Training is no longer performed at one’s desk, gazing at a screen – this is the opportunity to train anyone at any time. This is also key to companies whose staff are not equipped with a permanent workspace or desktop computer. 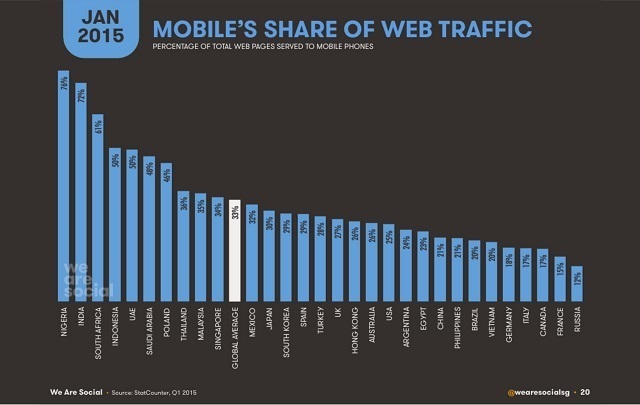 One should recall that, in many countries, the penetration rate of mobile phones and mobile traffic is far higher than the penetration rate of desktop and computer traffic, as demonstrated by Google’s 2015 figures. Therefore, when it comes to large corporations, the mobile phone represents a significant opportunity to reach all their collaborators in different countries, regardless of their level of equipment or mobility. Mobiles open up a field of possibilities when it comes to the frequency of interaction during training sessions: they offer learners the possibility to continuously interact with the training module and follow interactions that are taking place around it, similarly to social media feeds like Facebook or Twitter. Indeed, many studies conducted in cognitive neuroscience, as well as rationalist thinkers, have highlighted the fact that interactions play a key role in the learning process and that it is thanks to these interactions that young children are able to develop awareness and knowledge. The advent of online activity has created new types of interactions and learning communities: just think about the amount of tutorial videos and comments published on YouTube, covering very diverse learning topics from solving mathematical problems to building garden sheds, or the many Wikipedia pages written by users from all around the world. Each day, millions of exchanges take place, millions of questions are asked. It’s all about capitalizing on these new uses—focused on knowledge sharing—by equipping our own training tools with features that allow mobile interaction anywhere, so that everyone may contribute content. 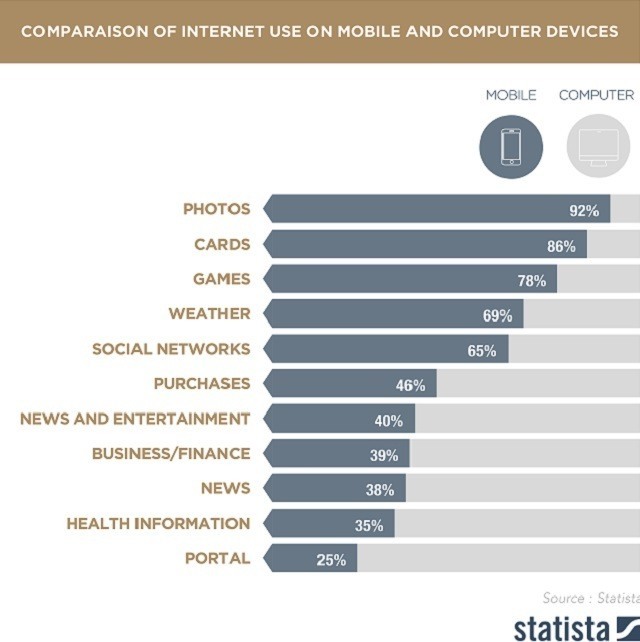 Many studies show that the navigation path and uses are different on mobiles than on computers: for instance, mobile internet users do not go online at the same time of the day and their purchasing behaviors are distinct from those of computer internet users. 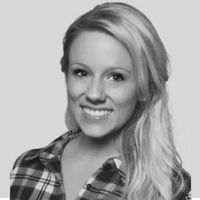 The mobile device has a key role to play in the training industry. It will come as a complement to computer devices, which do remain the privileged tools for activities requiring extra time and focus. Mobiles bring interactivity to training content which is necessary to bring it to life and unite a community of learners around it. With an ever more active and committed community of learners, the role of trainers is all the more important, especially as far as animating a community is concerned. They will be able to react to learners’ questions live and will have even more data from which to identify training strengths and weaknesses. Indeed, completion rate data from the different training paths and interactions on each module is saved, and will help them push data analysis further to ensure continuous improvement. More concretely, since mobile internet users will be more likely to react immediately if they don’t understand something, trainers will be in a position to more rapidly identify whether a question is unclear in the training path and has been reported by many learners. They will be able to provide an answer and edit the question in order to improve the user experience of learners. If, on the contrary, the number of likes and shares is important on a given module or section of the path, trainers will be able to highlight the issue and react via the platform in order to better address the issue at hand in detail. Likewise, they will be able to receive feedback from learners on the field and integrate it to their future trainings paths, hence improving them. The increase of the trainings’ commitment rate also makes it possible to gamify the experience of learners. If there’s an active and committed community of learners, it is easy for trainers to implement gamification strategies that are capable of appealing to all users, no matter where they are. For instance, they can launch a question form on a given day to see if learners have learned certain notions from the module, and send it via “push notifications” to their phones. Push notifications are alerts that are automatically displayed to catch the eye of the mobile user. The mobile device is the privileged tool for content and photo sharing. Hence, not only does it give learners the opportunity to train at any time, but it also lets them enrich the training paths they are following. Almost immediately, they’ll be able to share a note, a new essay, a picture, or a video and therefore share the knowledge they acquired on the field. This information with added value is no longer lost, but capitalized and enriched with more interactive content such as videos and pictures. Feeding our social networks with pictures and videos from our smartphones is now a widely adopted practice; the famous “selfies” were quick to become an international trend. It’s all about integrating these practices and new uses—enabled by the mobile device—to training, and to turn them into profitable information at the service of knowledge sharing. For example, if a salesperson shares the way in which he presents his products, or if a technician shows how to repair an electric connection in a video tutorial, they’ll be able to directly add their content to the dedicated forum and the community of learners will be able to react, comment, and “like” the content. With the mobile device allowing users to share information at any time, the existence of context-specific forums makes sense: these are forums that are integrated and relate to a specific section of the training path. The mobile device helps transform information relating to the various professional experiences of collaborators into valuable data. Social networks have shown that anyone can become their own, full-fledged media, able to share qualitative information with the rest of the web. Training, in reusing these mobile uses of information sharing and content creation, is in a position to generate the commitment of learners with a new approach, while allowing all of them to play a role in knowledge sharing. This constitutes significant added value for onboarding trainings, but also for all professions that require manual and physical skills such as craftsmanship and technical trades. The mobile phone makes it possible to “seize the moment” and share the “craft” of these skills with others. In the second part of this article, we’ll explore the concept of mobile training in the age of adaptive learning. Stay tuned!